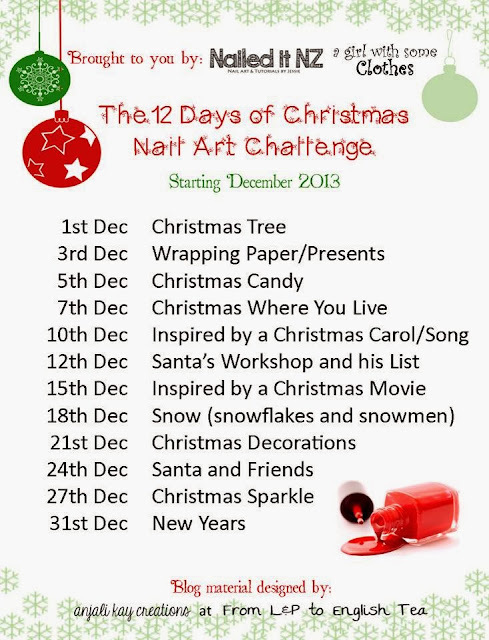 Only three designs left in the 12 days of Christmas Nail Art Challenge! Next time I do something like this I am DEFINITELY giving it a shorter name. So, today's theme is "Christmas decorations." I was initially going to do baubles but realised that I hadn't done Christmas lights in a really long time, plus this way I could use glow in the dark polish. There's a picture of them glowing after the jump break. Here's the tutorial - please subscribe :). Here's the design at night time - I'm such a kid, I just love glow in the dark stuff. We moved house recently and realised that there are glowing stars and moons in our bedroom - SO stoked! These nails were a real pain to get a photo of. I ended up having to edit the exposure on the computer a lot to make it resemble what it was like in real life. I've already filmed the next tutorial - can't wait to upload it, it's possibly my favourite one of the whole challenge! Hope you like these, looking forward to seeing everyone else's designs! I'll update the Facebook album after this.